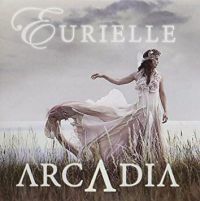 Someone who knows I really enjoy female fronted symphonic metal such as WT, Delain and Epica, recommended Eurielle. So I sought this out, a release from December 2015, and was a bit surprised to find it was nothing like any of those bands. Opener “City Of The Dead” is a gentle affair, beautiful vocals floating over a mellow musical backdrop. It is reminsicent of acts like Enya and Clannad, and that’s the general theme here. It’s all about the voice, often sung in multiple parts, and there is a strong narrative underpinning the tracks. The songs are cut from the same cloth, a gently rolling parade of subtle vocally led affairs that are stunning in their careful designed way. I would perhaps like a little more of the music to come forward, just to add some contrast, but there is no denying what is on show. I can understand why it was suggsted to me, although it’s not really the sort of thing I would normally listen to. I would also love to hear this sort of quality voice rocking it up. If you’re a hardened metaller that still enjoys the softer asides from the bands I mentioned, then there will be something in here for you. It oozes class.